DARTMOUTH, Mass. 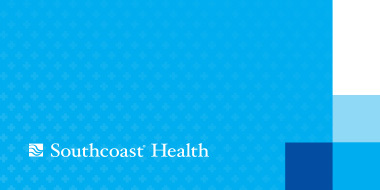 – Southcoast Health today announced that Benjamin Abbadessa, MD, colorectal surgeon, has joined Southcoast Physicians Group, and will see patients at 300B Faunce Corner Road, Dartmouth. Prior to coming to Southcoast, Dr. Abbadessa completed his residency in colon and rectal surgery at the Cleveland Clinic Florida in Weston, Fla. He is trained in the techniques of advanced laparoscopy and robotic surgery to treat colorectal cancer and inflammatory bowel disease. Dr. Abbadessa earned his doctorate from SUNY Upstate Medical University in Syracuse, N.Y., and then completed his residency in categorical surgery at Beth Israel Medical Center in New York, N.Y.
Dr. Abbadessa was honored as the Beth Israel Center Leon Ginzburg (Chief Resident of the Year) Award winner in 2013, and was also honored for Beth Israel Medical Center Senior Resident Academic Achievement, and with the Moses Nussbaum Resident Travel Award and the Gold Humanism Honor Society Award. Additionally, he has co-authored several peer-reviewed articles pertaining to the management of colorectal disease. Dr. Abbadessa is a member of the American Society of Colon and Rectal Surgeons (ASCRS), the Society of American Gastrointestinal Endoscopic Surgeons, the American College of Surgeons, and the Association for Academic Surgery. Dr. Abbadessa is board certified in general surgery and has achieved Fundamentals of Laparoscopic Surgery (FLS) certification and is BLS/ACLS/ATLS certified. To schedule an appointment, call 508-973-1020.